For most of our existence, we humans have seen ourselves as superior to animals, as “above” the “lower” creatures. Rene Descartes, for example, in the 17th century argued that animals were mere “machines” incapable even of true feeling, let alone “higher” thinking. Cultures throughout antiquity sacrificed animals by the thousands to their gods, so that their value was in the ends they served rather than in their independent lives. On the other side, there are some traditions of vegetarianism in our history. Examples include the Pythagoreans in Greece, Hindu yogis, Jains and Buddhists, among others. And other societies (such as the Native Americans) ate and used animals but with a reverence and gratefulness for the lives that they were taking. Overall, though, the predominant notion in the human noggin is one of superiority. But then Darwin knocked us down a notch…at least some of us. Evolution and the descent of humanity from primates still left wiggle room for us to see ourselves as “thinking, rational animals,” and therefore still better than the lesser beasts. Around that same time, though, something started to shift in the cultural mindset. A cultivated, conscious concern for the welfare of animals began in the late 19th century in England and then spread. (For example, the SPCA has its origins from this era, not to mention the idea of a “vegetarian society.” Ethics entered into the discussion of how humans relate to, and treat, animals. There was a recognition that, however higher or lower we might be, we had some responsibility for animals. Nowadays, going vegetarian or vegan is practically normal. And animal rights are as important a topic of social discussion and ethics as human rights. Many people are vegetarian to some degree, but that does not require any ethical concern for, or love of, the animals; they need not be “our animal friends” for someone not to eat them or abuse them. A person may choose a vegetarian lifestyle simply for the proven health benefits that it brings. Alternatively, an environmentalist might go vegan because of the profound impact that raising animals for food has on the planet–using up vast amounts of land, water, and grain crops that could be used directly (and more efficiently) by humans for survival. Do you see a dumb, senseless beast? Do you see a slab of meat on a bun? Do you see something not worth thinking about for too long? If not…what do you see when you see an animal–be it your beloved family pet or a little bird hopping along the sidewalk…or a snake slithering in the grass…or a spider scuttling across the floor? Speaking for myself, I see a mystery, a miracle, a manifestation of life. I see the magic of a living being going about its essential task of living, of being what it is by nature. I see something so precious that for me to make it suffer, or even worse to take its life (directly or indirectly), would be the highest act of selfishness. With or without a god to judge, I feel within myself the destructiveness of doing harm and the disrespect of using others for my own welfare. Surely, animals are not always the highest models of inter- or intra-species kindness. They kill each other, eat each other, fight each other, steal from each other. Nature is indeed often “red in tooth and claw,” as Tennyson says. But that when it comes to taking life or causing suffering, I have something the animals (almost certainly) do not: a choice. We humans are thinking animals, but we are also ethical animals. We have the power, the gift, and the curse of choice. And that, as Frost might say, makes all the difference. So what do you see when you look at an animal? Do you see in the way that William Blake did when he saw his “World in a grain of sand / And Heaven in a Wildflower”? What do you see…? Please share your visions of our animal friends. Perhaps we all can begin to see these friends, and the world we share, in a new way. “If the doors of perception were cleansed every thing would appear to man as it is, infinite.” – William Blake, The Marriage of Heaven and Hell. 1. Livestock used by humans for food and other products has an astounding drain on the planet’s resources. Joel K. Bourne, Jr. provides this bit of data on the subject: “It takes up to five times more grain to get the equivalent amount of calories from eating pork as from simply eating grain itself–ten times if we’re talking about grain-fattened U.S. beef” (“The End of Beef,” National Geographic 215.6 [June 2009]: 41). Unless that animal is a racist, close minded redneck. Or a hood rat. Or my mom. Seriously, it’s crazy that you can go to the zoo and see all these animals confined, and then go to Wal-Mart and see a bunch of idiots wandering around free. Nice article. I am not vegetarian, though I have tried. (For some reason I get sick and weak without meat.) However, I try to act with kindness as much as possible, making humane choices on products (and yes, eating some vegetarian meals), and I take action on court cases, etc., and volunteer at the shelter. While I hate factory farms, I feel there is little I can do about them in reality. I do have less of a problem with people eating meat because there is ample evidence that life feeds on life. That is simply the way it is, and none of us had anything to do with designing that system. However, I am strongly against keeping animals in zoos, breeding pets, using animals in circuses or on television, movies, and commercials, and trophy hunting, as none of these activities are necessary to survival, and are superflous and detrimental to us as people, and to the animals as well. I am also very supportive of any person who wants to take living humanely as far as they want, even it if seems extreme to others. Darwin’s model is still flawed. Even the latest claim to a missing link looks less human than a chimp. Maybe the best reflection of animal-kind would be putting yourself in the animal’s position. How would you as an animal view a human if said human was naked and lacked any tools or weapons for protection? I would dare say that you might view the human as dinner? As a predator, you would kill the human. As a scavenger, you would dine on his remains. The human’s existence would end without any regard for his miraculous creation, his individual rights, or his desire to be dispatched without undo cruelty. It is man’s cunning to domesticate some animals and to subdue the wild animals that keeps him atop the food chain. Not only that, man has come to a place where he guarantees the survival of many species through domestication and hunting. Both activities usually cull the weak, prevent the spread of illness to the healthy, and strengthen the species on the whole. If government leaders do not begin to write emergency legislation designed to remove animal flesh from the food chain soon, humans, animals, and the Earth will be confronted with the continuous escalation of widespread nonstop mega catastrophes! It seems that Nature’s awesome retaliatory powers are being unleashed with devastating force in an effort to destroy humanity before we destroy the Earth and all the creatures that dwell here. When this battle between nature and humans is over, only the Earth and the non-human animals may survive. A constant escalation of heat waves, violent torrential storms, hurricanes, catastrophic flooding, cyclones, earthquakes, tsunamis, uncontrolled wild fires, droughts, famines, diseases, and starvation, causing massive destruction to the Earth and countless deaths to humans and non-human animals. 10 to 20 years from now or sooner much of “the quintessence, and grandeur of the once majestic life supporting earth” could very possibly look like a dilapidated, barren, polluted wasteland occupied by millions of vulnerable homeless defenseless humans and non-human animals trying to escape the deadly consequences of global warming. Hordes of tired, helpless, weak, listless, and lethargic adults and children crammed together in dark, dreary, windowless structures located throughout the world. Unimaginable suffering with the frightening prospect of no way out, no one to rescue them, and no where to go. Desperation spawned by the strong likelihood of an agonizing and painful premature death caused by starvation, disease, fire, or drowning. This is the ultimate price that a large portion of the human race may end up paying as retribution for unnecessarily and mercilessly supporting, promoting, and participating in the destruction of God’s precious irreplaceable creatures, as well as recklessly polluting the Earth and its atmosphere. Really great article. I feel that animals are definitely a mystery and I will never view animals as just being a lower creature. They may not have the same thought process as humans, but they do feel. If anybody has a pet, you can just see it in their eyes and know they care for you. Dogs are a really good example of this. They are loyal to the death and show true emotions for humans at all times. I really appreciate this article. Thank you so much for writing it! I’m vegan and I do it for the animals. I know that what may be obvious to me (that animals are living, thinking, feeling beings that shouldn’t be used by human beings) may not be obvious to someone else. I love that your article allows people the space to actually think about animals in a different way rather than going about their daily lives, not ever truly confronting what their lifestyles may be doing to animals. I actually feel sorry for people who can’t see animals the way I see them! I have found so much more joy in the world by knowing I’m doing as little harm as I can to animals and enjoying the peace I see when I watch animals or go to an animal sanctuary. Not my dog. The little bugger only likes us when he’s hungry. He’s almost cat-like. Descartes is often misinterpreted. He proposed the mechanistic view as a way of looking at something METAPHORICALLY in order to look at the way it works. This is a very helpful tool but unfortunately it permeated the way that we view the world since his time and indeed led us to view animals, plants and all of existence (including ourselves but only when it is convenient) as machines to one degree or another. I think that we have to look deeper and see that this way of looking at the world is the root cause of many if not all of our problems. When we see that there are things deeper than we can understand at play and we can attach objective value to beauty and life, it will no longer be acceptable to breed pigs in vertical farms or treat other creatures as we have treated them. If we are truly higher beings than the rest of the animal kingdom then shouldn’t we have learned not to exploit simply because ‘death happens in nature too’. If we aren’t higher than maybe we should practice some empathy. Excellent write up. I recently took up vegetarianism, with all hope to hold on to it till the end of my life. I am preparing a collection that I propose to use to propgate my opinion that people need to think of the fact that an animal was killed and its flesh torn apart for their burger. 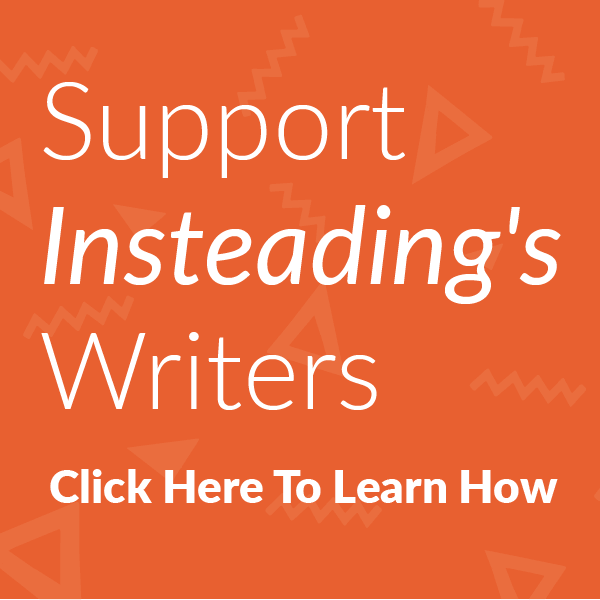 Seeking your consent to make your essay a part of my kit. My family have a small family farm where we raise animals for eating, chickens, pigs and cattle. While the reason we have the aniamls is for meat we also treat them we a great dealof respect and love. We consider it wrong to treat animals with cruelty, deprive them of their needs, confine them in cramped conditions. They lead a good life till they die to feed us. Bobby there aren’t that many species that benefit from domesrtication and or hunting. Maybe 40 or 50 at the most. And that usually comes at the cost of many more species. White tailed deer in the US are in great numbers yes, but where are their predators, wolves and cougers don’t benefit from the hunting. Many more species suffer from the destruction of the forests by the rapacious appetites of the deer. And while numbers of dogs may be great, it doesn’t benefit the species when they have a great deal of difficulty in simple survival mechanisms such as breathing or giving birth. I treat all other living organisms with respect and value their existance, even when sometimes they must make way for humans. We are the only species that truely has a choice in how we behave. Justin this article is so touching and beautifully written that I had to stop and compliment you. I love your view on our animal friends. Personally, I am not a vegan or anything close to it. However, I see the value in life of all kinds. I’d say that my view is closer to those of Native Americans. Life is sacred. That includes every animal, every plant, everything that lives and (therefore) helps to sustain other life forms. I don’t take for granted that physical life is lost so that I can have a piece of chicken or fresh vegetables from the garden. I give thanks and remember not to overindulge. I see dogs, pigs, cats, humans, bears, fish, trees as life. And life is to be respected, appreciated and recreated. Never abused. Thanks a lot for your kind comments, Nea. They really, really mean a lot to me.